At the Packaging Company, we pride ourselves on offering the shipping and packaging products that our customers need to be successful. When it comes to double-sided foam tape, we stock an extensive variety so that you’ll certainly be able to find the specific product to get the job done, no matter your application. Foam tape is incredibly versatile and can be used for a number of different applications. You can use it for mounting name plates to walls or doors, bonding different surfaces (including irregular surfaces) to one another, card making, scrapbooking, crafting, hanging signage, securing merchandise racks, and for many other uses. With the number of different types and styles that we carry, the possibilities are almost endless. We have an extensive history of working with companies to help them succeed. Our dedicated staff focuses on providing superior customer service and helping our customers however we can. If you have any questions about any of our products, or if you need help coming up with a solution to a particular packaging or organizational problem, do not hesitate to call us or email us. Foam tape is easy to use. It can be applied by hand or with a dispenser, and it sticks strongly very quickly, so you don’t have to wait around for it. Double-sided foam tape is made from an extremely flexible polyethylene foam that conforms to most surfaces without issue, creating a strong bond. We know how important it is to get the products you truly need at prices that make sense to you. That’s why we stock various different sizes and types of packaging and organizational solutions. We want to be your one-stop-shop where you can quickly get what you need and then get back to work. 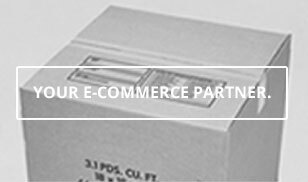 Trust the Packaging Company to help your business succeed. We’re here for you when you need us. Check out our available tape options below.